Ephriam (Ephraim) Bonham was born about 1716 in Maidenhead, Hunterdon County, (now Lawrence, Mercer County), New Jersey. He was the son of Hezekiah Bonham and his second wife. His first wife was Elizabeth Morris. Elizabeth died before 1742. He married Susannah Jones on December 23, 1742 in Maidenhead. Susannah was born on September 25, 1722 in Lawrence, Mercer County, New Jersey. Her parents were Gibbs Jones and Jane Crapp. They lived in Philadelphia where he was a maker of tallow candles. 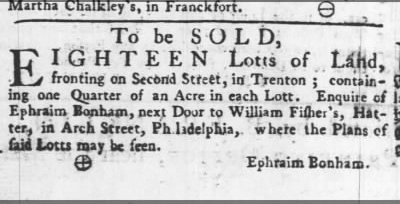 To be SOLD, Eighteen Lotts Of Land, fronting on Second Street, in Trenton; containing one Quarter of an Acre in each Lott. Enquire of Ephraim Bonham, next Door to William Fisher's Haiter in Arch Street, Philadelphia, where the Plans of said Lotts may be seen. Only two sons, William and Blathwaite, survived to adulthood and were named in their mother's will in 1794. Some of their children who died young were buried in Christ’s Church graveyard. Oct. 6, 1757, (??? ), child of Ephraim. 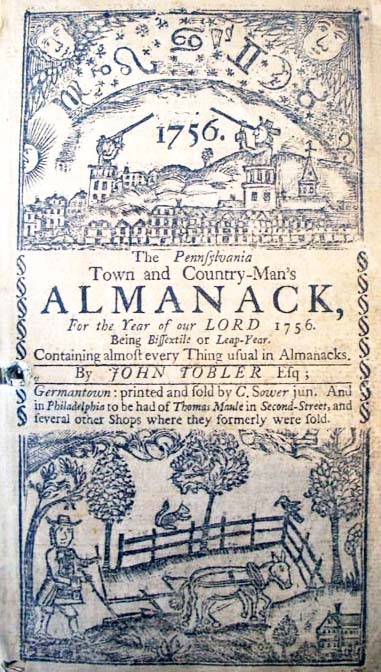 Aug. 28, 1759, Susannah, dau. of Ephraim. In July, 1774, Rebecca Crapp of Philadelphia named Ephriam Bonham as executor of her estate. Rebecca was Susannah's aunt. The names of Ephriam Bonham and his son, William, appeared on tax lists for the city of Philadelphia in the years 1780 and 1781. Ephriam died on May 22, 1785 in Piscataway, Middlesex County, New Jersey. Susannah died on January 28, 1794 in Philadelphia. Christ Church in Philadelphia was founded in 1695 as a condition of William Penn’s Charter. The current building dates to 1744. The American Flag was adopted in 1777. Gibbs Jones (son of John Jones, by his wife Margaret), was born in Philadelphia 3rd 6th mo., 1701, and died there in Aug., 1736. His will dated 2nd Jan., 1728, was proved 14th Aug., 1736, and names wife Jane, and children — Susanna, John, and Blathwait, and his mother, Margaret Bolton. Jacob Jones (his brother) and William Paschall were the trustees of his Estate. He married 2d Aug., 1721 (Christ Church Records), Jane Crapp, daughter of Dr. John Crapp, by his wife Susanna (nee Budd), widow of William Paschall. Jane Jones m. (2dly) William Craddock. She died Aug., 1760. I. Susanna Jones, bapt. Christ Church, 12th Dec, 1722. She m. Ephraim Bonham. II. John Jones, b. .
Blaithwaite Jones, son of Gibbs and Jane (Crapp) Jones, baptised at Christ Church, Philadelphia, 21 July, 1726. His paternal grandfather, John Jones, was a member of Common Council, 1691. 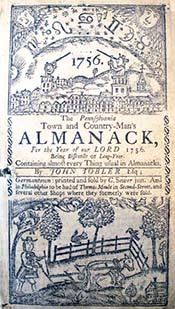 Alderman 1701 and one of the justices of the County Courts. On Motion. Resolved, That Ephraim Bonham be, and he is hereby appointed one of the Sub Lieutenants of the said City of Philadelphia. Resolved, unanimously, That William Simple, Esqr, be, and he is hereby appointed a Sub-Lieutenant of the said City of Philad". Extract from the Minutes. from Colonial and Revolutionary Families of Pennsylvania, p. 75.